Congratulotions are in order! 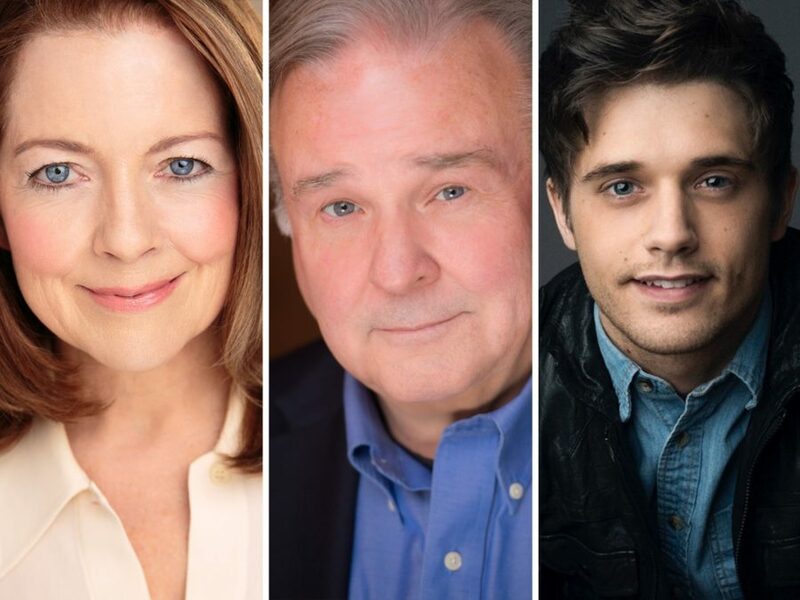 Tony nominee Isabel Keating and Broadway favorites Fred Applegate and Andy Mientus will join the national tour of Wicked as Madame Morrible, The Wizard and Boq, respectively. The three stars will join the blockbuster musical tour beginning November 22, when Wicked plays the Wharton Center in East Lansing. Keating garnered a Tony Award nom for playing Judy Garland in The Boy from Oz. Her other Broadway credits include Hairspray, Enchanted April, Spider-Man, Turn Off the Dark and It’s Only A Play. Applegate recently played the role of The Wizard on Broadway last year, and his additional Broadway credits include Tuck Everlasting, The Last Ship, Sister Act, La Cage aux Folles, Young Frankenstein and The Producers. Mientus is best known for his role as Kyle Bishop in the hit television series Smash. Most recently, he starred in the Deaf West Theatre Company’s Broadway revival of Spring Awakening and the 2014 Broadway revival of Les Miserables. In addition to Keating, Applegate and Mientus, the cast of the touring production of Wicked includes Jessica Vosk (Elphaba), Amanda Jane Cooper (Glinda), Chad Jennings (Doctor Dillamond), Kristen Martin (Nessarose) and Jeremy Woodard (Fiyero). The company features Emily Schultheis, Allison Bailey, Kerry Blanchard, Giovanni Bonaventura, Jillian Butler, Laurel Cannon, Jordan Casanova, Michael Di Liberto, Michael Drolet, Ryan Patrick Farrell, Anthony Festa, Lisa Finegold, Napoleon W. Gladney, Dominic Giudici, Lauren Haughton, Garett Hawe, Kelly Lafarga, Melissa Legaspi, Chase Madigan, Olivia Polci, Anthony Sagaria, Wayne Schroder, Tregoney Shepherd, Ben Susak, Jeremy Thompson, Nyla Watson, Michael Williams and Justin Wirick. Based on the novel by Gregory Maguire, Wicked has music and lyrics by Stephen Schwartz, and a book by Winnie Holzman. The production is directed by Joe Mantello with musical staging by Wayne Cilento.